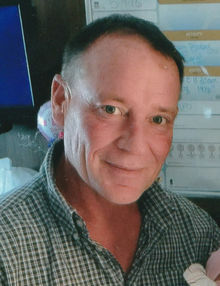 Edward Dean Snyder, age 55, of Westfield, IN born on May 28, 1962 joined his beloved brother , Mark Alan Snyder, in heaven on Tuesday, November 21, 2017. He was the owner and manager of Snyder Heating and Air Conditioning for 27 years. Ed, as he was fondly known, was an avid golfer, bowler, and a huge sports fanatic, collector, plus stats and trivia wizard. He loved to entertain and cook for his family and friends. He took great pride and attention to being the best papaw to his praised granddaughter, Lily Bon. He is greatly missed by all his loved ones. He married Patricia Ann (Drullinger) Snyder on June 6, 1992. She survives him along with their children: Luke Snyder of Fortville, IN, Matthew Snyder of Indianapolis, IN and Anne (Justin) Nevitt of Fishers, IN plus granddaughter: Lily Nevitt. Additional survivors include his mother: Georgeanna Lewis Snyder of Cicero, IN, father: Charles Edward Snyder of Orestes, IN, sisters: Cheryl Hunter (Joe) Pettijohn, Bonnie Kissel (Woody) Bowling plus several nieces and nephews. Funeral services will be held Monday, November 27, 2017 at 1:00 P.M. at Cicero Christian Church, 1715 Stringtown Pike, Cicero, IN 46034 with Pastor Adam Coulter officiating. Burial will follow at Eagle Creek Cemetery near Westfield, IN. Visitation will be from 10:00 A.M. until time of the services. Memorial contributions may be send to the Arthritis Foundation. Arrangements are entrusted to Hartley Funeral Homes Cicero Chapel where you may send condolences at www.hartleyfuneralhomes.com.